Cozumel is a beautiful island in Mexico known for being a major nesting ground for sea turtles. 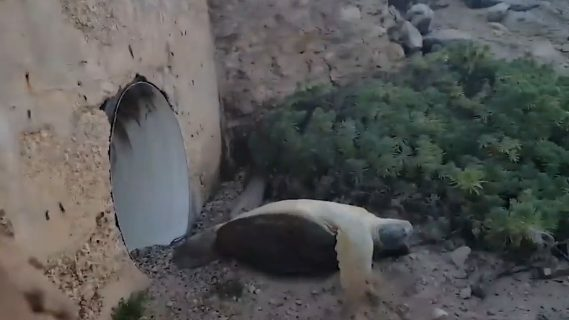 In fact, many people travel there in the hopes of watching the babies hatch and make their way to the sea.While Steve Booker probably thought he'd see at least a few of the turtles while on vacation there, he wasn't expecting to save one's life. 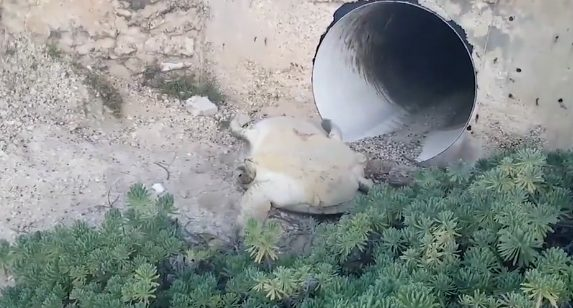 But when he went out hiking to see the sunrise, that's exactly what he did after coming across a struggling turtle that really needed his help.When he first found this poor creature, he thought it was already dead. Then he saw it blinking and struggling to turn itself over. He knew he needed to do something. 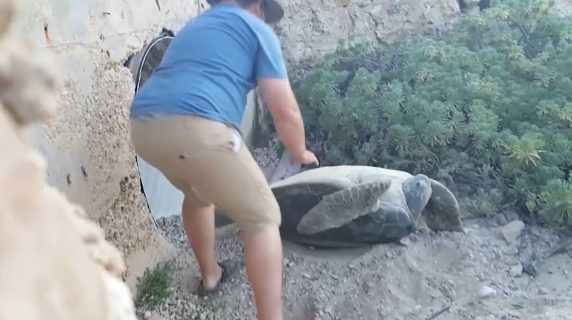 That's when the Good Samaritan approached the turtle and gave it a potentially lifesaving push.